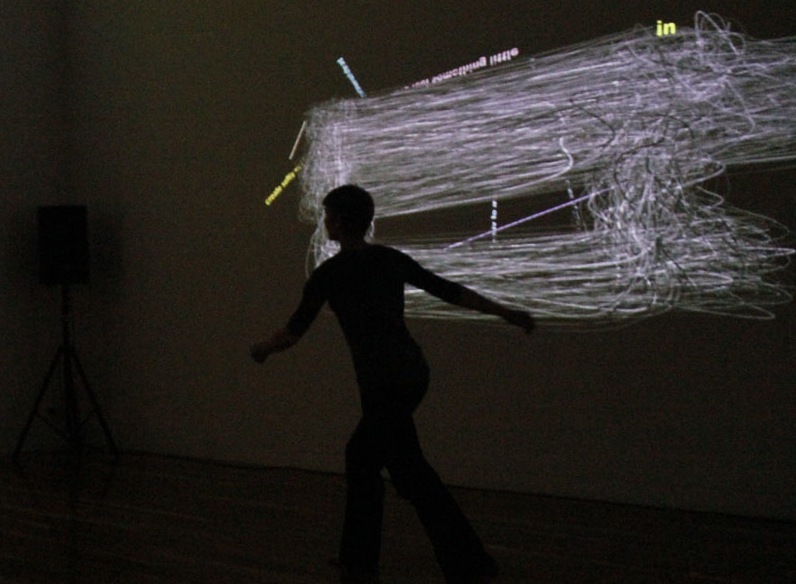 Polymorph is an interactive immersive environment for two or more interactors. A single structurally complex three dimensional agent is created through the presence and interaction of two or more interactors within the environment. Still from studio development, Bundanon, Australia, 2013.